Tune in, Ask Questions, Connect! Truefire Live is an interactive live broadcast – a seminar with live Q & A. Since this is my first one, I cannot tell you exactly how it works, but knowing Truefire, the tech end will be super easy, clean and smooth! Bookmark the link on the bottom! 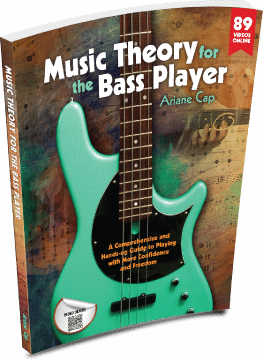 I have a course out with Truefire.com – Pentatonic Playground for Bass. You can purchase the download or get the DVD. I am very proud of this course and to be a Truefire educator! Truefire is a true educational powerhouse and one of the first at that. Please join me for this online event. I want to make it interactive and get to as many of your questions as possible. There is a good reason scales and arpeggios are essential mainstays of any meaningful practice regimen: they will improve your playing and understanding of music measurably. Now, wherever you are on your journey mastering these elements, here are some awesome practicing tools for you!